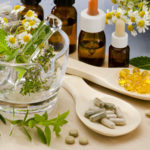 Nutrition is the primary foundation of good health upon which the body’s biochemistry is built and is one of the most important aspects of naturopathy. Hormonal imbalances and chronic immune or disease conditions are often the direct result of such imbalances. Individual dietary plans and a nutritional protocol may be offered together with nutriceutical, mineral celloids or herbal supplements, if required. Conventional metabolic testing may also be recommended. Nutritional supplements can be purchased from Chris and she can arrange for items to be sent directly to the patient’s home.